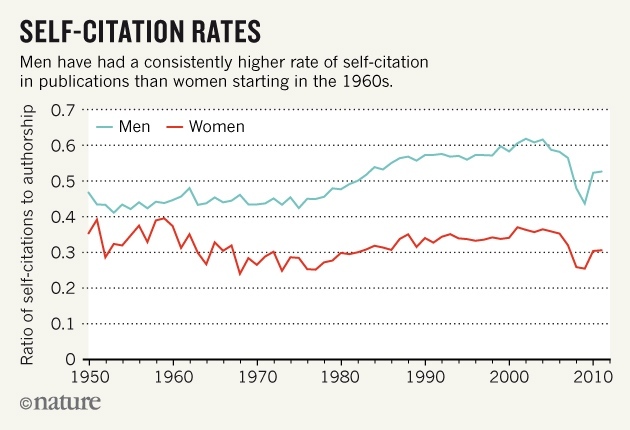 The analysis looked at papers across disciplines in the digital library JSTOR and found that men’s self-citation rate had risen to 70% more than women’s over the past two decades, despite an increase of women in academia in recent years. Around 10% of a given paper’s references are likely to be self-citations by the paper’s authors regardless of their gender. Great habitual tips, my goal is to learn from this type of article. It’s very good experience for me that you written article which really want to know. Thanks for sharing resume writing group review and such useful information.